The Insignia Digital Hand Shower - Built with a dynamo technology and LED lighting giving the product a long life and works completely off pressure. Designed with colour safety lighting and incorporated digital read out display allowing the user complete safety when it comes to taking a shower. Its designed with all ages in mind ensuring you have complete control over the exact temperature of the water when having a shower. All our shower heads come with a 12 month guarantee. 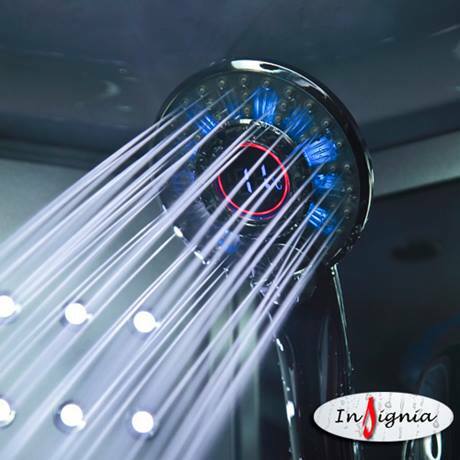 Hi, the Insignia Digital Hand Shower is designed to fit standard 15mm shower hoses. Hope this helps.